People may forget what you said. In fact, people might even forget what you did, but people will never forget how you made them feel. A smile can make your day, but it takes a genuine, heart-warming one that is reflected from a sincere heart that can actually uplift your mood. The same goes for eye contact. Only those who acknowledge others with a pure heart can truly grab ahold of people’s attention in the long run. This is the type of experience you’ll have in Hua Hin and in particular, Novotel Hua Hin Cha Am Beach Resort & Spa. All of its staff members exude a sense of warmth that is simply irresistible. Novotel rises above people’s expectations and are the kings and queens when it comes to making the best first impressions. Just walk into the place and experience the true meaning of hospitality. Your Thai journey will be more amazing when you venture it through them and with them. Words have little effect in our daily interactions. This is backed up by research. In fact, body language plays a major role when dealing with people. The tone of our voice, for instance, gives authentic meaning to our words. What’s on the inside can’t help but show up on the outside. As humans, we tend to gravitate towards those who welcome us, genuinely. If this, and exceptional customer service is what you’re looking for, then you have come to the right place. 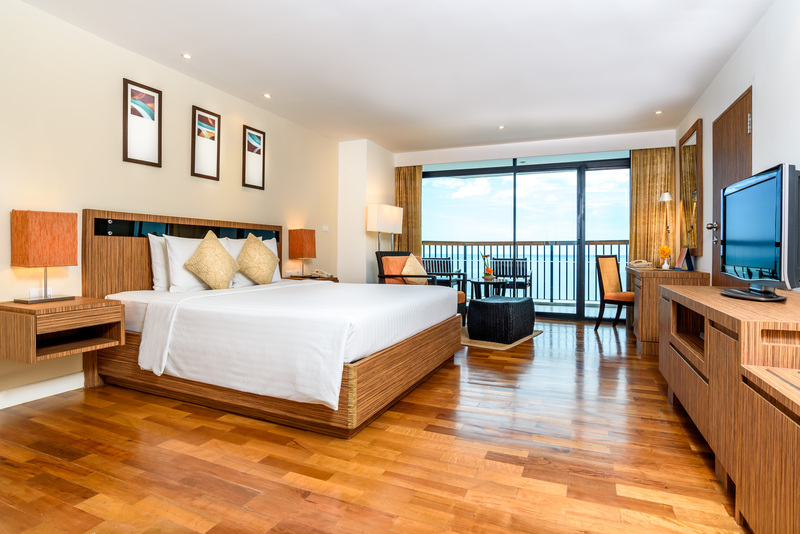 Located between Hua Hin and Cha Am, Novotel Hua Hin Cha Am Beach Resort boasts 243 modern guest rooms and suites with a private balcony that overlooks the panoramic sea view of the Gulf of Thailand. Welcoming the sunrise or witnessing the splendour of the sunset is easy as all rooms are facing the sea. The best part is when you book a room with a private balcony. They even have rooms specifically catered for families. Children will love the decorations! It exudes a homey atmosphere. Family Rooms feature a king bed for parents and bunk beds for children. As you rest on one of their beds, you'll notice that their beds are super cozy and comfy. They use the LIVE N DREAM mattress that is exclusive to Novotel Hotels. This dual-technology mattress is composed of micro pocket springs and a memory foam layer which will support your back as much as possible. This top-of-the-range mattress guarantees universal yet personalised comfort thanks to this series of innovations. 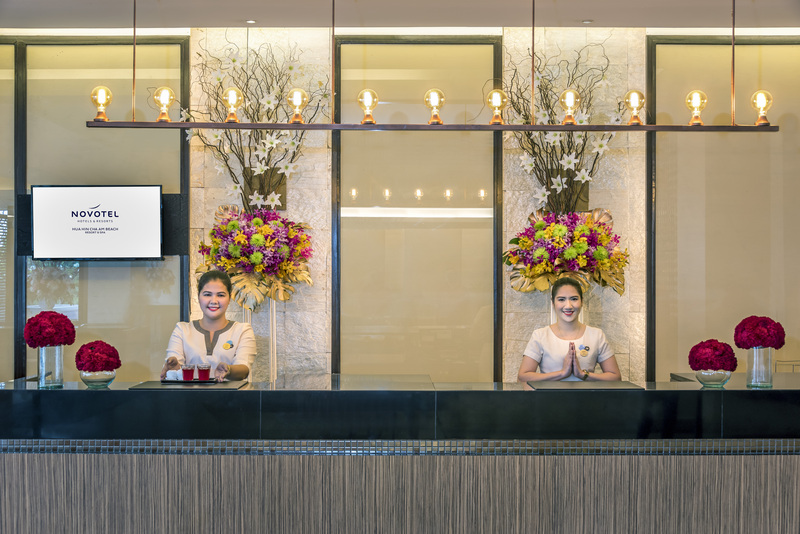 Every inch of Novotel’s amazing quality will make you eager to go through your Thai journey. Getting a Thai massage is a good way to deepen your exquisite experience. The fresh flowers, aromatic smell and herbal tea are all aligned to give that pleasing escape for anyone that walks into the resort’s In Balance Spa. 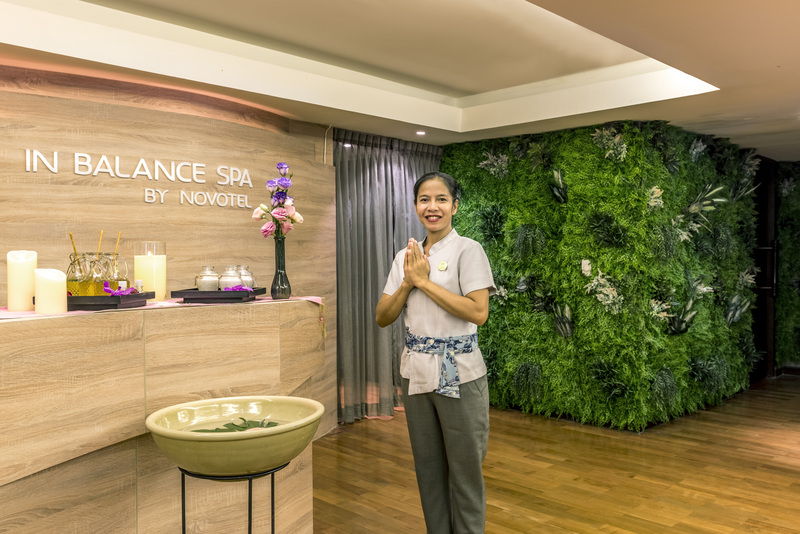 Immerse in the authentic Thai spa experience through them. They’ll pamper you from head to toe and transform your mood and energy that will leave you feeling invigorated! Select a traditional Thai massage to release tension or go even further and experience the healing touch of a herbal compress massage or an oil massage. The spa also offers a large range of scrub treatments and more. This relaxation haven is located on the ground floor next to the beach, so when you‘re ready to try it out, pay them a visit. Find out key ingredients of Thai dishes from their Executive Chef who will teach you the basic skills to create local cuisine. Touted as one of the best food in Southeast Asia, Thai dishes such as Tom Kha Gai, Pad Thai and Kluay Buat Chee are among common samples of how fabulous Thai food can be. Novotel Hua Hin Cha Am Beach Resort & Spa has seven bars and restaurants that serve Asian and international dishes. 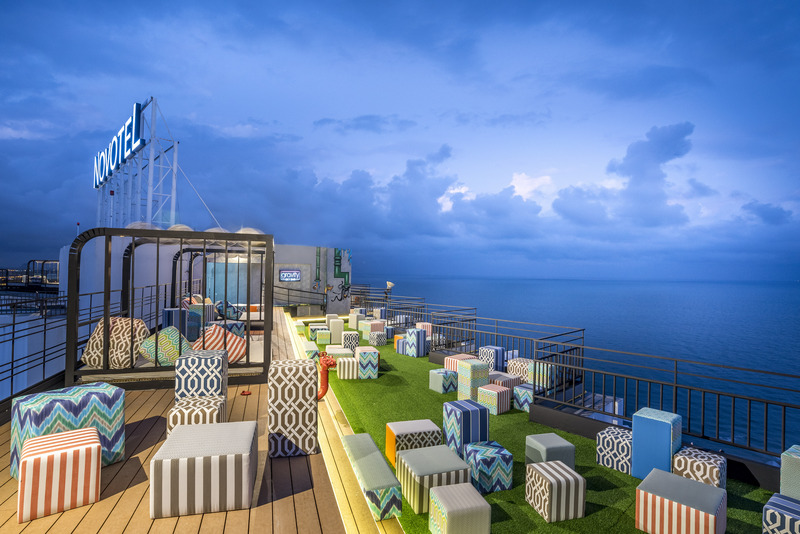 Their newly opened rooftop Gravity Sky Bar offers a 360 degree view of the sea to catch the perfect evening sunset. It is a fantastic way to get into the evening mood. Don’t forget to drop by their Ocean’s Italian Seafood Restaurant, Horizon Café, Champions Sports Bar & Grill, Joe Kool’s Restaurant, Le Café and their Organic Garden. The Resort’s Meeting and Events facilities are outstanding with 850 sqm of function space. The main ballroom can accommodate up to 450 people. 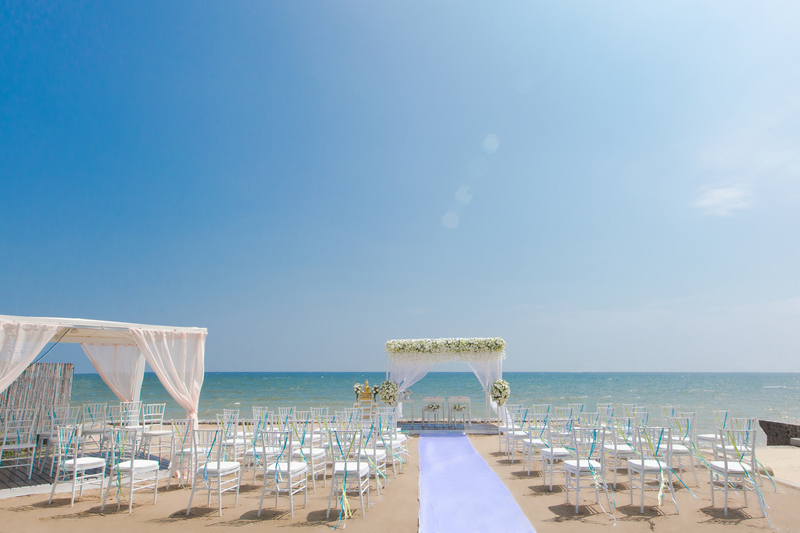 Those intending to tie the knot can plan a wedding at Hua Hin beach and end up having a romantic event that they will never forget. Novotel's catering team can prepare your wedding in both Leelawadee Grand Hall and the resort area. Want to explore Hua Hin? Tours by Bunty are highly recommended. He’s the resort’s journey ambassador that will take you to all of the exciting places that reflects his and Novotel’s love for Thailand while at the same time, enabling you to make meaningful contributions to those who are less fortunate. A jaunt to Plearn Wan market enables you to encounter a whole new aspect of Hua Hin. You’ll feel that you have walked through a living museum and experience a slice of life in Hua Hin during the 1950s. Envisage the stunning views of the ocean as well as beautiful pathways to go to the magnificent Phraya Nakhon Cave. Perhaps you prefer going to the breezy seaside location 12km north of Hua Hin? You’ll love the summer palace -Phra Rathchaniwet Mrigadayavan which was built in 1924 during the reign of Rama VI. The train station has become a popular tourist attraction and the landmark of Hua Hin. Its quaint, East-meets-West architectural style stands in stark contrast to the modern hotel buildings and outdoor malls that have become an integral part of the 21st century Hua Hin skyline. If another activity crosses your mind, rest assured that Novotel can whip up a grand itinerary that will fit all of your travelling needs. 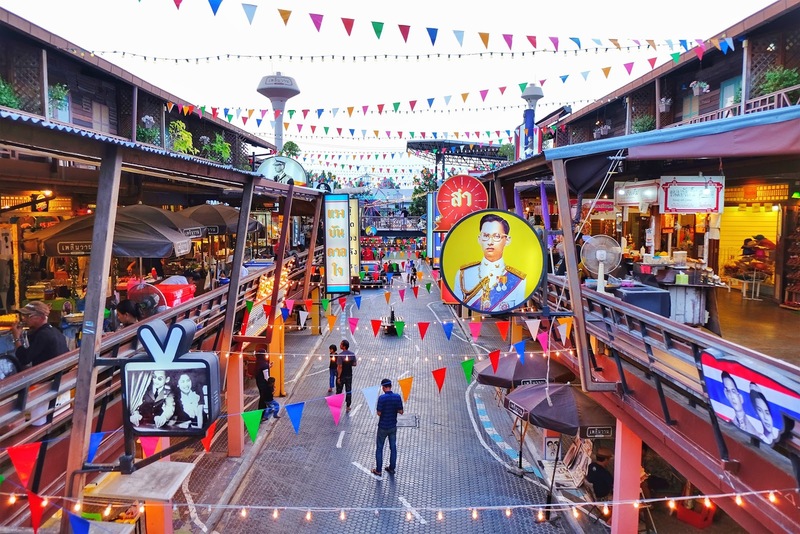 Longing to visit the Cha Am Night Market? Their complimentary shuttle service will take you there! Those who consider their pets as part of the family will be pleased to know that Novotel Hua Hin Cha Am Beach Resort and Spa is pet friendly. So, what are you waiting for? 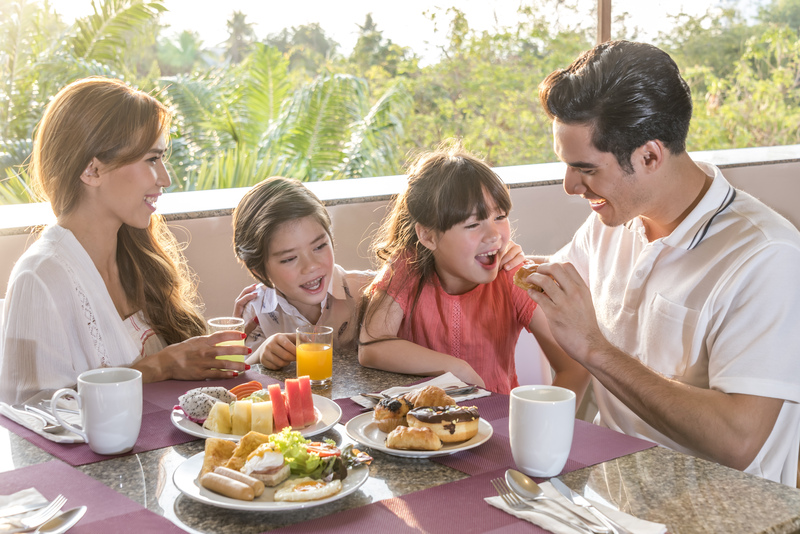 Plan your Thai holiday and book a room at www.novotelhuahin.com now!